Every major economy around the world is fuelled by oil. And a lot of them run on oil produced by OPEC. 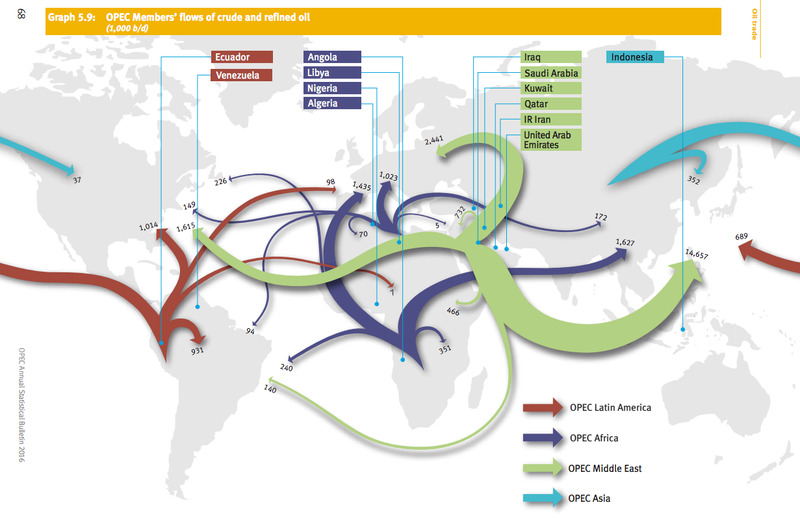 In its Annual Statistical Bulletin, the cartel shared a map tracking OPEC’s crude and refine oil flows around the world. Members located in the Middle East export the largest percentage of crude and refined products out of OPEC overall. And, notably, a large chunk of it goes to Asia — a huge market where demand is growing. 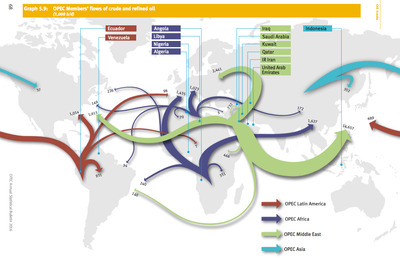 Meanwhile, OPEC Africa sends most of its goods to Europe and Asia, while OPEC Latin America’s products predominantly stay on the western hemisphere. As a fun side note, this map also serves as a pretty good tool for seeing who benefited from the lower oil prices — aka those regions that import oil from OPEC.